From animation team Fuzzy & Leemsie: the (non-human) occupants of a tiki bar ride out a storm together. With backgrounds by Niko Guardia. A short and sweet little confection, lasting just over a minute—I didn’t want this short to end! Mahalo for sharing this with me, Fuzzy! 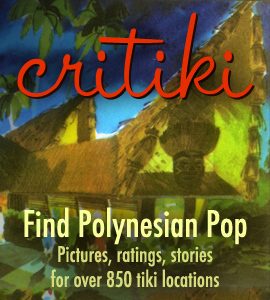 Next Next post: Archipelago, a New Tiki Bar in Washington, D.C.